With over 15 years of experience, ServiceMaster Restoration by Complete has been serving the Staten Island community in addition to the cities in Middlesex and Somerset counties of New Jersey. We are available 24/7 to provide emergency disaster restoration services when you need it most. Each of our professionals continues to undergo advanced training in addition to their years of experience. They are also licensed to handle any size restoration project for commercial and residential buildings. This has also helped us to respond with 1-2 hours of your initial call to prevent the damage from spreading and provide you with some peace of mind. With our advanced cleaning equipment and experienced technicians, we are able to serve properties of all sizes from small apartments to large warehouses. Each of our specialists has been IICRC certified and trained in water damage restoration (WRT), mold remediation, and applied structural drying (ASD). ServiceMaster Restoration by Complete is also proud to be a member of ServiceMaster’s nationwide catastrophic response network as we assist in the largest losses throughout the country. We are available 24 hours a day at (347)380-8388 for all cleaning and restoration services in the Staten Island, NY area. Because water damage can start small and spread quickly, action must be taken immediately to prevent secondary or even permanent damage. As porous materials will be the first to sustain the most damage, including drywall and wood, they are also the most prevalent for developing mold growth. 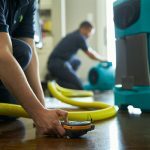 Whether caused by burst pipes, floods, rain, or plumbing leaks, you must call ServiceMaster Restoration by Complete immediately to save as much money and time in repairs as possible. We provide complete water damage restoration and flood cleanup services in the Staten Island, NY areas to effectively restore all building materials from severe damage. We will also clean and replace any materials that have been damaged beyond repair. With advanced drying equipment and products, you can expect that the affected area will be returned to its original condition in no time. Because it is located so close to the ocean, the New York City area is no stranger to large storms and floods. 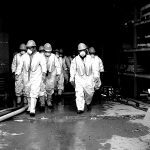 As these disasters can cause major damage without warning, it is important to be prepared at all times. 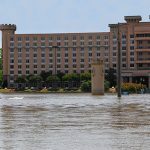 Although there are various factors that can contribute to flooding, whether man-made or not, residential and commercial buildings can quickly sustain the damage which can eventually lead to mold growth if not treated right away. That is why ServiceMaster Restoration by Complete provides flood and storm damage restoration in the Staten Island, NY area to not only extract the water, but repair all homes and buildings from major storms. Our water extraction equipment has also allowed us to quickly mitigate all flood water in addition to cleaning any areas that have been contaminated during the process. Dealing with freezing temperatures is usually frustrating enough. But when you have encountered severe water damage caused by a burst pipe, this can result in thousands of dollars in damages. 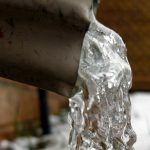 While it is important to prevent frozen and burst pipes, they can happen without warning. When it does, quick action must be taken right away in order to limit the damage as much as possible. Call ServiceMaster Restoration by Complete right away to restore all damage caused by burst pipes and sprinkler heads in the Staten Island, NY area. Our technicians use advanced products and equipment to completely extract all excess water and sanitize the affected building materials. Ultimately, you can depend on us to restore your property to a safe and dry condition once again, providing you with the peace of mind you deserve. Like water damage, fire damage can start small and spread quickly; however, it is known to cause the most damage to its affected surfaces once it has spread. However, the actual fire does not cause the majority of the damage. It is the soot and smoke that is left behind to cover all surfaces, causing etching and tarnishing to compromise their structural makeup. 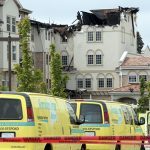 This is why ServiceMaster Restoration by Complete provides smoke and fire damage restoration services in the Staten Island, NY area to effectively clean up and restore both commercial and residential buildings. With advanced products and equipment, we can effectively remove all soot and smoke byproducts without causing further damage to the affected items or building materials. With our services, we will have your home returned to its original condition faster than you though possible. Although mold is a natural occurrence in our environment, it can easily become annoying by dispersing its spores into the air to affect other surfaces. However, it can become more than just annoying; it will cause severe structural damage, produce musty odors, and cause severe health issues if it is not treated immediately. As if this is not enough, it can be found anywhere there is an organic building materials, such as wood or drywall, and moisture. 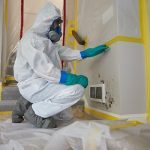 This is why ServiceMaster Restoration by Complete is available 24/7 to provide mold remediation services to the homes and buildings in Staten Island, NY. In addition to testing, our advanced products will effectively remove all cases of mold at their source to ensure that your property is free of any musty smells and allergy-inducing spores. Although it is overwhelming to discover a trauma scene on your property, it can be extremely dangerous because the biohazards left behind contain many disease-causing bacteria and pathogens. If you have found yourself in such a situation, you must avoid all contact and call law enforcement right away. Then you must contact emergency restoration services to completely clean and restore all damage caused by the byproducts. ServiceMaster Restoration by Complete provides trauma scene cleaning services to thoroughly clean and restore all homes and buildings of blood, tissue, and other bodily fluids. Our technicians use advanced products in addition to approaching the scene with compassion as we respect the loss of all grieving families. While your building materials will be the first to sustain the most damage in the event of a natural disaster, water, fire, soot, and mold can all damage personal content. As many items are fragile and will quickly sustain permanent damage, it is crucial to have them efficiently cleaned and restored as soon as possible. ServiceMaster Restoration by Complete provides effective content cleaning and pack out services in the Staten Island, NY area to completely clean and restore all personal belongings to their original conditions. Our equipment and products have allowed us to restore items made of all different material types. In the event that your property has sustained too much damage for the content to be restored on-site, we will pack and restore it at our facility. While it is important to clean all of your building materials and content, many property owners are aware of the environmental impact these products can have. There are numerous household cleaners that contain powerful and harmful chemicals that can severely damage the environment. But at ServiceMaster Restoration by Complete, our technicians are trained to use environmentally friendly cleaning products when providing green cleaning services in Staten Island, NY. With our green cleaning products, you can ensure that your content and building materials will be effectively cleaned without causing any damage to them or the environment. Whether you work at home or in an office, the carpet will receive heavy wear and tear as a result of daily foot traffic. Dirt and debris can easily buildup deep within the fibers, and if not treated regularly, it can cause fading and discoloring within the carpet. This can even impact the entire look and appearance of the entire room. ServiceMaster Restoration by Complete is available to provide carpet cleaning services to the homes and businesses in Staten Island, NY. 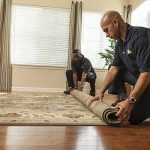 Our technicians have years of experience in effectively cleaning and restoring carpets, ultimately returning them to their original conditions. With the use of the hot water extraction method, the carpet will be deep cleaned, sanitized, and dried within 24 hours. Although carpeting will receive the most wear and tear due to daily foot traffic, furniture is also used everyday as we may not even think to have them cleaned until they have become dirty or discolored. Frequent use will have it incur a buildup of dirt and debris within the fabric that will shorten the life of the furniture over time. 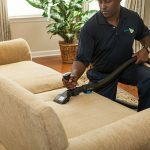 ServiceMaster Restoration by Complete provides professional upholstery cleaning services to both residential and commercial properties in Staten Island, NY. Our advanced cleaning methods and equipment will ensure to have them cleaned effectively and efficiently, restoring fabrics of various types. While carpets will complement a room with their beautiful colors and fibers, there is nothing like having a hard surface flooring, such as in the kitchen and bathrooms. Not only are they easier to clean, but they are durable and able to handle frequent foot traffic. On the other hand, they are still prone to damage, such as dirt and scratches that can build up if the floor is not properly treated. However, ServiceMaster Restoration by Complete is available to provide hard surface cleaning surfaces to the homes and businesses of Staten Island, NY. Our advanced cleaning equipment and products guarantee to restore your floor to its like new condition, bringing back the original shine. In the event of natural disaster, such as a flood, fire, or even mold infestation, it can cause severe damage within the structural materials of your home. Although you will need restoration services to fix the damage, you may also need reconstruction services to fix any materials that restoration services will not cover, such as painting, putting in carpet, rebuilding stairs, etc. While this is important, severe disasters may leave the home in an unstable condition, thus, making it crucial for immediate treatment. ServiceMaster Restoration by Complete provides emergency reconstruction services in the Staten Island, NY area, not only to repair the damage, but to stabilize the condition of the property to ensure that the damage does not spread. With a full team of construction staff, you can depend on us to stabilize your home in addition to developing a complete construction plan to have it returned to its original condition in a timely manner. 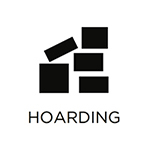 Millions of people in the U.S. are affected by hoarding each year as the common behaviors of hoarding create dangerous living conditions for those affected and their families. 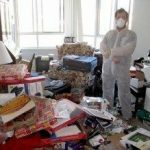 It is important to remember that hoarding is a mental disorder and those affected are dealing with anxiety that prevents them from throwing anything away. If you know someone affected by hoarding, you must reach out to them and help them understand that the condition of the home must be improved for their safety. ServiceMaster Restoration by Complete provides hoarding cleaning services in Staten Island, NY to help clean out hoarder’s homes and restore them to safe living conditions. Our technicians are equipped to clean up extreme cases of hoarding and we also make sure to establish a level of trust and respect for the affected individual. If you have experienced an emergency situation in the Staten Island, NY area, do not hesitate to call ServiceMaster Restoration by Complete for emergency disaster restoration and cleaning services at (347)380-8388. We are available 24/7.